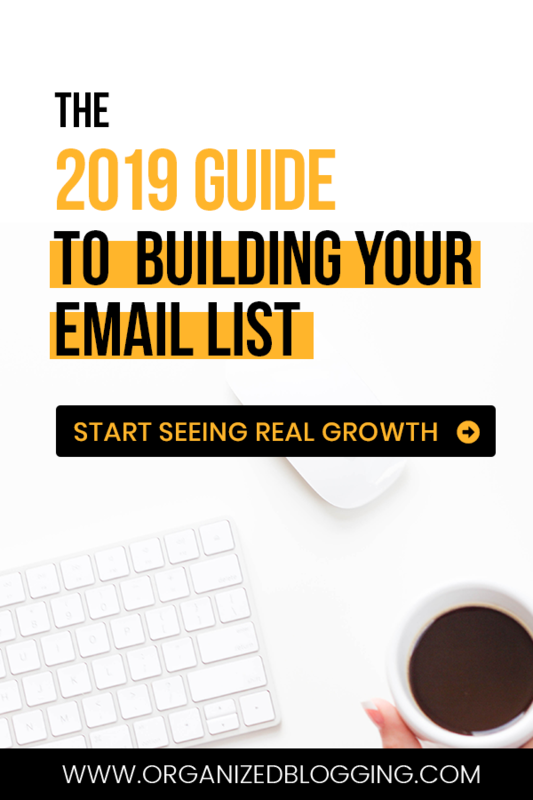 2019 Email Marketing Guide for Bloggers, Start Growing Your Email List! Recently I decided to switch to ConvertKit. While it’s $29/month, it’s easier to set up more complex email sequences. If you have the budget for it, I’d definitely recommend it. But if not, MailerLite is the perfect free option! Once you have your freebie nailed down, there’s a little strategy behind creating getting all the juicy data out of that opt-in that you can. Click here to see all the steps to setting up your highly-converting freebie. The last step of your freebie funnel is creating an email sequence that starts building a relationship with your new subscriber. Trust me, this step is crucial for boosting your open rates and click rates! When you make a new friend, you don’t simply say “Hi,” and then walk away. Relationships are built by having regular, repeated touch points. By having a welcome email sequence, it’s an opportunity for you to build a relationship with your subscriber. They opted-in to your email list because of a problem they’re trying to solve, so each email in your welcome sequence is a new opportunity to guide them in their journey to solving that problem. There are 3 parts to a sequence: Number of emails, length of emails, and frequency of emails. Number of emails: A welcome email sequence for your blog only needs to be 3-4 emails long. Length of emails: I like keeping these emails relatively short and sweet. Why?When you’re building a new relationship, it’s important not to overwhelm your new subscriber right off the bat – they don’t even know you yet! After they’ve completed the sequence and know you a bit, they’ll be ready for longer in-depth emails that provide deeper value. Frequency of Emails: This will vary depending on the topic you’re covering (more on that next). Think about the time it’ll take your subscriber to understand + act upon the information you gave them. As a rule of thumb, give them at least 1 day between emails. The sweet spot seems to be 2-3 days, but definitely not more than 7 days apart. While you’re building this new relationship, your welcome emails need to be frequent enough for them to continuously work on their problem, but not so far apart that they forget who you are! WHAT SHOULD YOUR EMAIL SEQUENCE BE ABOUT? When it comes to blogging, I believe every piece of content you write should stem from a problem your reader has (read allll about this in my post about creating the perfect welcome email). After you pinpoint your reader’s problem, you can create an opt-in freebie that helps solve it. 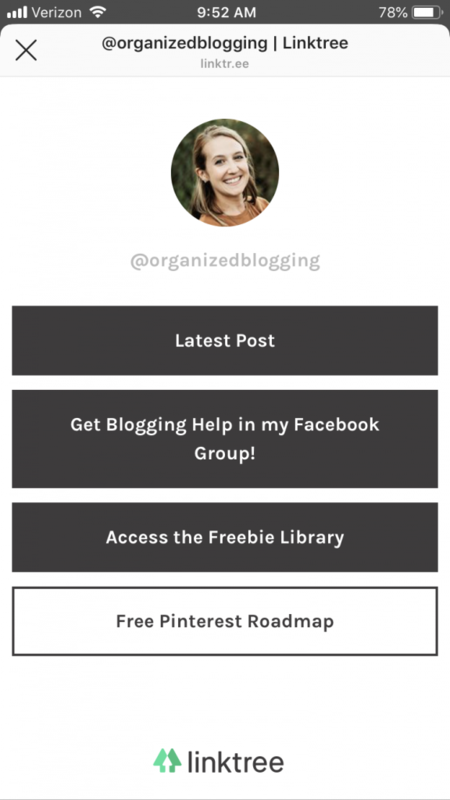 For example, if my reader opts-in to my Pinterest Roadmap freebie, MailerLiteadds them to my “Pinterest Subscribers” list. Everyone on my Pinterest Subscribers list is having troubles with Pinterest (that’s why they opted-in to my freebie). So, I set up my welcome email sequence with Pinterest tips to get them closer to mastering Pinterest. So, now you’ve thought about what to write and the nitty-gritty of your sequence, but how do you put it all together? I’ve put together a simple spreadsheet that will get all your thoughts in order and help you create the perfect welcome email sequence for your new subscriber! It’s an easy-to-use Google Sheets spreadsheet where you can plug in your ideas and frequency, so adding them into your Email Service Provider will be a breeeze! Just plop your email into the form below and it’ll land in your inbox in a jiffy! As fun as it can be, don’t get carried away with tons of graphics and funky design elements. Your emails are a relationship-building tool and people are more likely to engage with simple, clean emails from a person. Not a fancy, cold email from a company. Start by making the page background white to match the body of your email. Many email platforms will default to a gray background with a white box for the body. This can be OK, but sometimes it feels newsletter-y (and not as personal). Try making your emails all white for simplicity’s sake. “Thanks for subscribing to my email list!” should be written as the cause of death on your email’s tombstone. Okay, I’m kidding, but that line is so overused and frankly, a buzzkill! When you subscribe to something, is your first thought, “I really hope they thank me because I’m doing them a favor”? Probably not. If you used an opt-in freebie, your subscriber likely opted-in because they have a problem that they’re trying to solve. Hopefully they’ll thank you! First, I’m re-iterating their current feelings about their problem. They think, “Yes! She understands me!” Then, I validate their decision to opt-in. Open your emails by talking about them and their problem. People like it when you talk about them. Not yourself! If it’s helpful, give a few extra instructions so your new subscriber can make the most of their freebie. 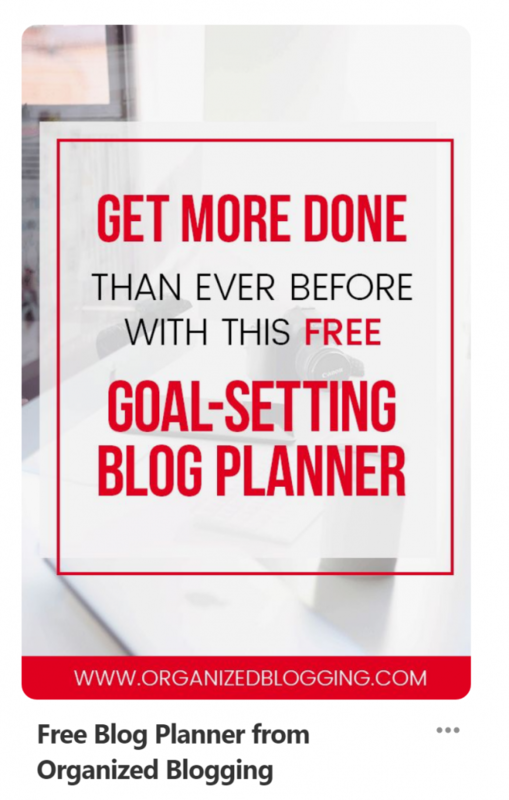 For my Blog Planner freebie, I first ask them to read my blog post on goal setting, then dive into the planner. This step will give them extra insight and clarity as they’re using the free planner. Last, invite them to connect on your most-used platform. Personally, I like inviting them to my Facebook group where I give blogging tips. Invite them by writing some personal, friendly copy instead of just using a social media icon. Now that you have your freebie funnel all set up, it’s time to promote it! There are some clever ideas in there like unique ways to promote on social media and even promoting within your own list! Say whaaaat?! Okay, bear with me on this one! Like I discussed in the freebie strategy post, you’ll want to create multiple email lists in your email marketing platform (like MailerLite) for your different freebies. When someone opts in to a freebie, you’re able to track that user’s interests based on the lists they’ve signed up to. Sometimes it can take a few tries to nail down a freebie that your reader really needs. You can create 2-3 different freebies right off the bat or revisit your freebie after 1-2 months and make adjustments. Pro tip: Identify your most popular blog post(s) that’s getting the most traffic and create a freebie on that topic! If you want a hard-and-fast number, it appears that the average conversion rate for an opt-in page is around 2%. This is the number of people that opt-in divided by the total number of people that land on your page. But remember, this depends on tons of different factors! Both MailerLite and ConvertKit will give you the conversion rate of each form in their dashboard. If your conversion rate is lower than 2%, that’s a good indicator that it’s time to try something new. If you got to this point and you still haven’t gotten started, why not take the first step? Sign up for MailerLite and click around. It’s free and you’ll quickly see how easy it is to set things up. They have a simple drag-and-drop email editor so designing your email is a breeze. And if you have any questions along the way (and they’re not answered in this email marketing guide! 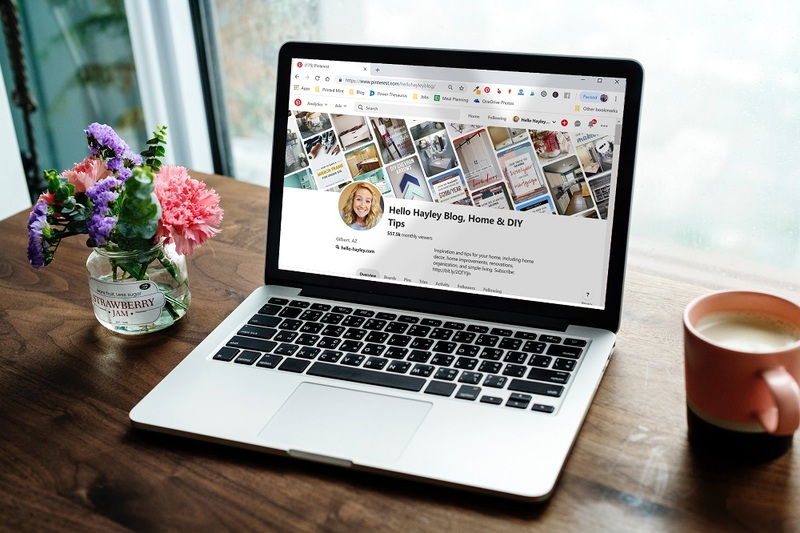 ), just leave a comment below or join me in the OB Tribe, my free Facebook group packed with support for bloggers like you! 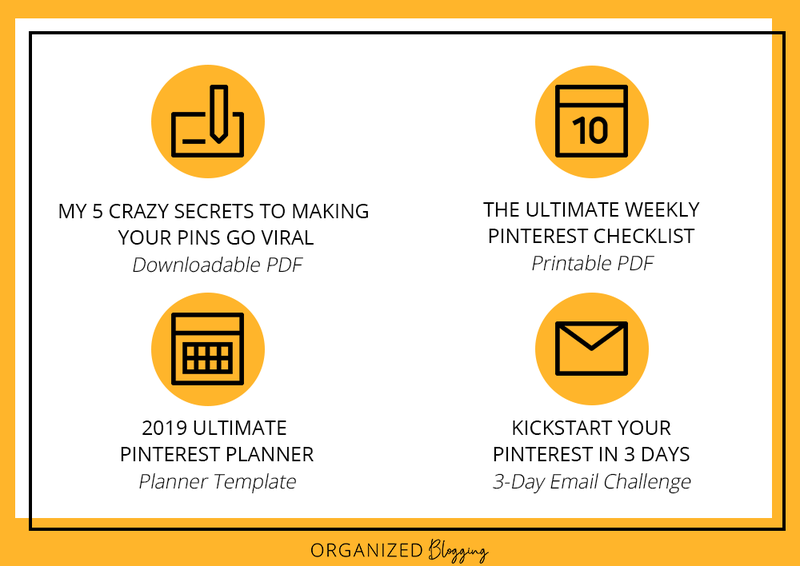 Pin the 2019 Email Marketing Guide for later!